An authentic aromatic Thai Delicacy. This rice has been cultivated in the country's lush tropical terrain for centuries, in nearly limitless varieties. Alter Eco is a values-based brand of specialty food products that brings sustainable, delicious, exotic, and healthy ingredients from around the world to people here in the United States and Canada for their delight and enjoyment, while directly benefiting farming communities in the Global South. 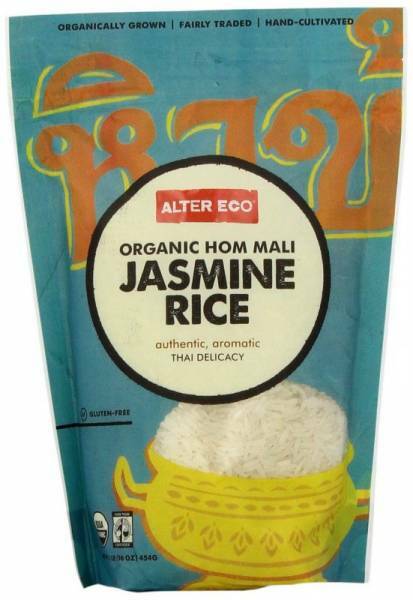 Directly from the farmers, Alter Eco brings food products that capture distinct attributes of various regions around the world including ancient supergrain Royal Quinoa from the Bolivian Andes, heirloom Jasmine Rice from Northern and East Thailand, Amazon-grown and Swiss-made dark chocolate bars, and unrefined ground Mascobado cane sugar from The Philippines.